Baked potatoes, loaded with bacon, green onions, and cheese, in thick and hearty soup form. If you know me, you know I like potatoes - all sorts of potatoes. But with all this cold weather, I figured it time for soup. So, when I saw this recipe on Cooking During Stolen Moments, I knew I'd be eating Loaded Potato Soup! This soup combines all the wonderful flavors of a loaded baked potato with the warming quality of a thick and hearty soup. My soup came out a bit dark because I left the skins on. If you want a lighter colored soup, simply peel the potatoes first. What's your favorite way to enjoy potatoes? 6 large potatoes, cubed I used Russet. Fry up bacon (or use bacon bits). If frying bacon, cook onions in bacon grease until tender and translucent. Boil potatoes and onions in stock or water, then simmer until tender. Slightly mash the potatoes if desired. Stir in cheese, green onions, and bacon. 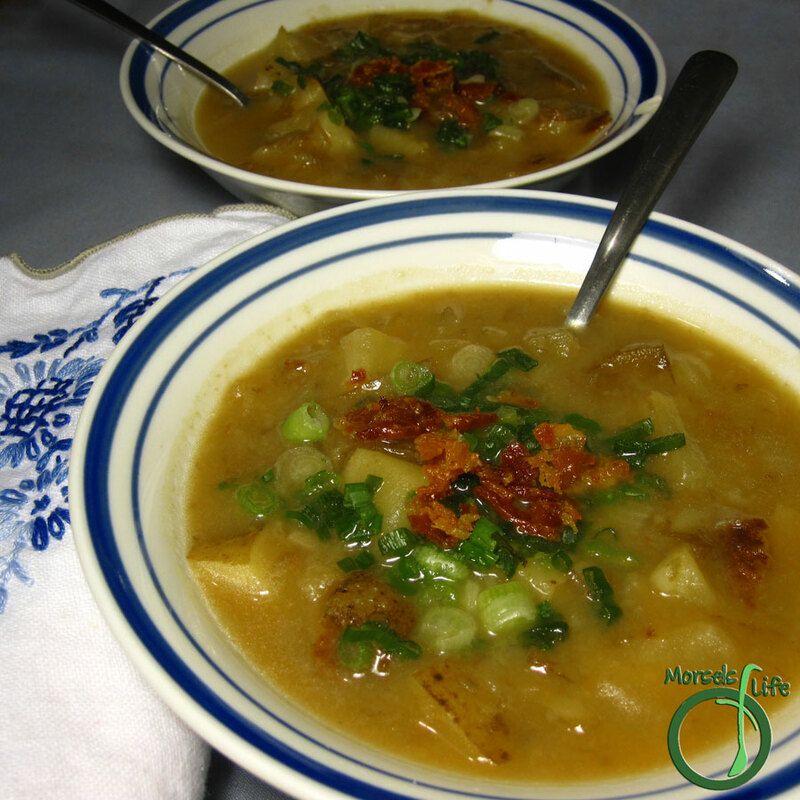 Baked potato soup is one of my personal favorite soups to have especially during the cold winter time. Bacon always seems to make just about anything taste better.